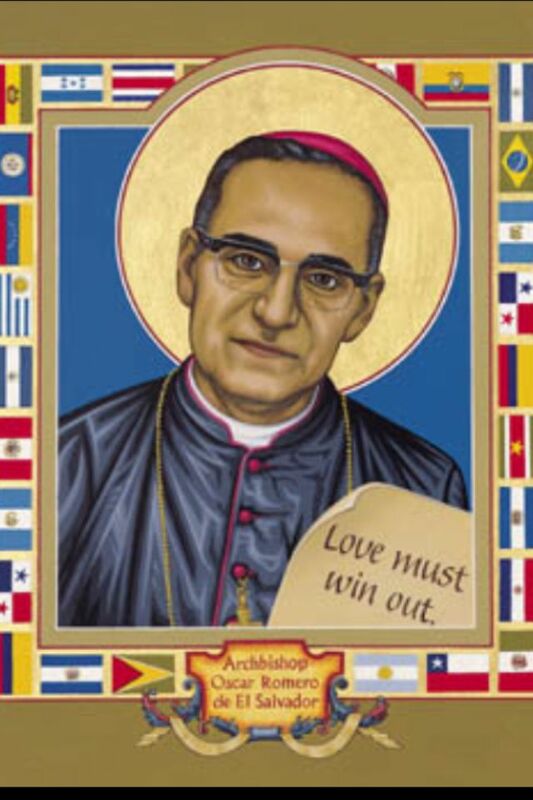 St Oscar Romero was known for his courageous opposition to the repression and murder carried out by the government of El Salvador. He earned a reputation as a pastoral parish priest but following his ordination as a bishop he was known first as reactionary and unsympathetic to religious attempts to work for social justice. However, during his time as Bishop of Santiago de Maria he saw the brutality and exploitation inflicted by security forces on the poor in rural areas. He was appointed Archbishop of San Salvador in 1977 and became famous for his denunciation of the corruption of the government and the atrocities by police and the armed forces. On 24 March 1980, following an evening of prayer and reflection with his priests, he began to celebrate the Eucharist at a hospital for cancer patients when he was killed by an assassin’s bullet.